At Otto's MINI, we care about our customers, which is why we love selling the MINI brand, which received the IIHS Top Safety Pick. MINI knows the best way to achieve the safest drive is avoiding situations that lead to accidents altogether. MINI achieves that through its world-famous handling and numerous Active Safety features. 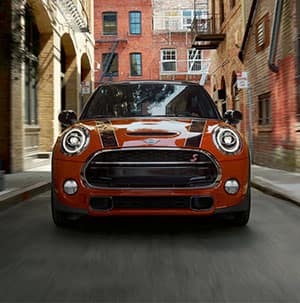 These two aspects help you steer clear of hazards, and in the rare chance an accident is unavoidable, your MINI is equipped with predictive brakes, a protective frame, and airbag systems. 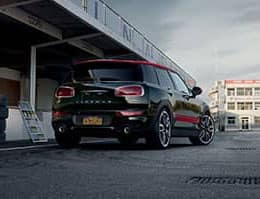 MINI boasts world-class engines, razor-sharp handling, intuitive technology, which are all aspects that lead MINI to have top-tier safety and resale value. MINI was named European Car of the Century. When driving a MINI, you can rest assured you are driving one of the most distinctive vehicles on the road. The Insurance Institute for Highway Safety has awarded the 2015 MINI Countryman the Top Safety Pick for the fifth year in a row. The 2016 MINI Hardtop 2 Door has been named Top Safety Pick+ by the Insurance Institute for Highway Safety when equipped with optional front crash prevention on models built after November 2015. An extremely strong frame reduces body torque and lets the suspension do what it does best – provide super-tight handling. A flex-free frame also reduces squeaks, rattles, vibrations and cabin noise. Up to 8 front, side-impact, ceiling-mounted, side-curtain, and knee airbags monitor collision severity to adjust inflation rates and help protect you and your passengers with as much force as needed. In extreme cases, they’ll stay inflated longer to keep you safe from shattered glass.